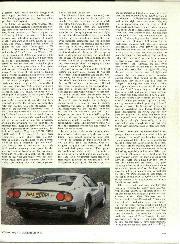 There are some games you just cannot win and it would seem that my game with the Ferrari 308 GTB is one of them. This particular model got under way in production early this year and was notable for a number of things, the body is in glassfibre, the shape has regained the faith of Ferrari enthusiasts and the name Dino has been dropped. Back in February a small group of us were taken to the Paul Ricard circuit by Maranello Concessionaires of Egham, Surrey, for a number of reasons, but principally to see the first handful of production 308 GTB coupes, to ride in them and drive them. An added bonus was the fact that Lauda and Regazzoni were there testing the 1976 Grand Prix Ferraris, with and without the de Dion rear suspension. Also, there was a Ferrari Berlinetta Boxer there for our use as well. Needless to say such a trip was accepted without second thoughts, but through no fault of Maranello Concessionaires it turned out to be a disaster. It started well enough when Niki Lauda took me for a couple of laps in the 4.4-litre flat-12-cylinder Berlinetta Boxer, a car that was so impressive that it left very little impression. When you look at a Boxer Ferrari, at the overall size and shape, and think about that incredible flat-12-cylinder engine in unit with the final drive, the size of the rear tyres, the disc brakes, the racing-like driving position and seats, the view through the huge sloping windscreen, you can't help gulping and saying "Cor!” Put the number one Ferrari driver behind the wheel and have him tell you that this particular car is mounted on an experimental tyre that he is interested in finding out about, and the result has got to be memorable. Memorable it was, but not unforgettable. The Boxer is almost too good, so that it did everything expected of it in a most dignified and perfect way. We conversed easily at very high speed down the long back straight, the acceleration out of corners was smooth and progressive with the big back tyres transmitting all the power to the road without fuss, it cornered in a very flat stance, responding to every whim of the driver without any drama, it slid about on all four tyres as Lauda deliberately went over the breakaway point, in a very smooth and refined manner; it rode over the bevel kerbs without fuss as he "straight-lined" ess-bends and when we stopped he summed it all up by saying "This is a good car." To me it was almost too good, for even with Lauda throwing it about it was devoid of excitement, so that a lesser mortal at the wheel would never approach the threshold of excitement. Satisfaction, yes indeed. I got out thinking "That is exactly how you would expect Ferrari's latest masterpiece to be." It was so impressive that I was left without an impression, if you can follow me. As I said earlier, the real reason for the trip was to try the new glassfibre-bodied Ferrari 308 GTB and the set of new cars that the French importer had lined up looked very good. The vast crowd of people to be accommodated looked very bad, but a drive on the next morning was promised. Without warning I keeled over and became horizontal with a severe attack of 'flu and next day could only remain vertical long enough to realise that the possibility of actually driving a 308 GTB was pretty remote. A lap in the passenger seat with a known or unknown French rally driver was about all that my colleagues could hope for. Surfacing every now and then from my fever I found them getting angrier and angrier as more and more "unknowns" had joy-rides in the 308 GTB and when I was finally carried away for the return trip home I enquired how they had got on with their test-drives. A stony silence greeted me and I realised that I hadn't missed much by being struck down by the 'flu bug. The UK Ferrari man tried to console us by saying that they were expecting the first of the right-hand-drive 308 GTBs into England pretty soon and he would make sure we were looked after better than the French had looked after us. True to their word Maranello Concessionaires got the first consignment of right-hand-drive cars in, and a car was offered to try. Not for a few laps round Silverstone, or a 30-minute drive down the A30, but to take away and use. It was a glorious sunny afternoon when I collected the silver 308 GTB from Mark Konig at the new Ferrari Centre at Thorpe, a mile or two from Egham, and it did not take more than a mile or two to know that I was going to enjoy it. I managed to acclimatise myself to it that evening and looked forward to an interesting B to C journey from Hampshire to darkest Wales on the following day, to visit the lair of The Bod. As I say, there are some games you just cannot win, and the Ferrari 308 GTB is one of them. I used the car for a round trip to Wales, the West Midlands, across to the east and back down south and suffered heavy rain, poor visibility, unbelieveable traffic congestion, darkness, and everything else except snow. If it was not raining, it was dark, if it was not dark, there was solid traffic, if there was not solid traffic it was raining, and so it went on. I tested the two-speed wipers very thoroughly, also the tractability and slowspeed running, and the all-round visibility and the lights and they all passed with flying colours. On the morning I took the car back to Thorpe the sun came out and summer started all over again! In 1973 the Ferrari BB was introduced, of similar general lines to the Dino 246 GT, with its flat-12-cylinder engine mounted amidships, though the whole thing seemed unreal and the feeling was "mmm yes, but . 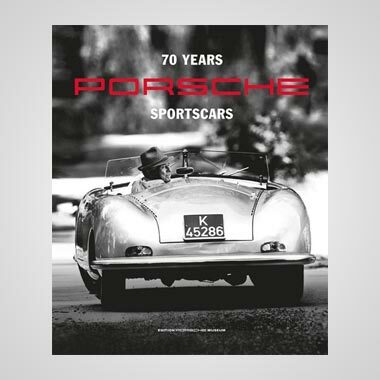 . ." In no time at all the BB, or Berlinetta Boxer, was in full production and over 50 had been sold in Great Britain alone, and that was a year ago. 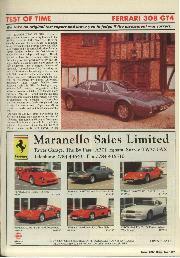 This "ultimate" Ferrari has now been enlarged to 5-litres and is called the 512 BB, an illustrious name indeed. The mid-engined concept from Ferrari was now serious. The Dino series had been an offshoot or probe, and the 246 GT has become a classic, mostly because of what followed. With little warning the beautiful little Dino 246 GT, styled by Pininfarina, disappeared and was replaced by an angular looking car called the Dino 308 GT4 whose only similarity to the previous Dino lay in the name. 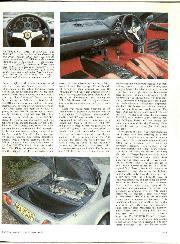 This was styled by Bertone and exuded nothing compared to the Boxer and the 246 GT. It had a four-cam V8 engine mounted transversely amidships, integral with a 5-speed gearbox, and was a 3-litre, though a 2-litre was also offered as the Dino 208 GT4, but it seemed to be stillborn. The Dino enthusiasts wept when they saw the new car, but the real Ferrari people were a bit more tolerant as they felt a 3-litre was a bit more like a proper Ferrari, but the V8 layout left them puzzled. 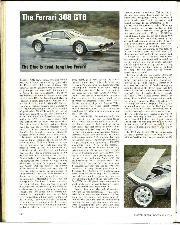 At least the V6 Dino 246 GT was "half a proper Ferrari," but a V8 was something from Detroit or St. Agate, for Lamborghini was making the 3-litre V8 Uracco, with the engine mounted transversely, amidships atop a 5-speed gearbox! What was much more worrying to the pure-Ferrari enthusiast was the fact that the front-engined V12-cylinder, four-camshaft, 4.4-litre 365 GT was the only "proper" Ferrari offered for sale, and it was more of a "limousine" than a "sports car" and even had power-steering. Worse was to follow, for in 400 GT guise, it has now been given the benefit of automatic transmission. If you view the trend in Ferrari production cars dispassionately, with the introduction of the Dino 246 GT, the Boxer, the 308 GT4, and the latest offering, the 308 GTB, then the end of the road for the traditional VI2 Ferrari with front-mounted engine is in sight. 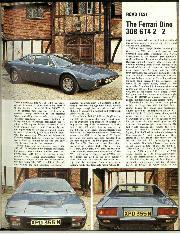 The Bertone styled 308 GT4 was not acclaimed as a roaring success and Pininfarina were soon at work making amends. In the 308 GTB they have surely redressed the balance, and what is more it has been done in glassfibre and is a masterpiece in the 'art of mould-making and finish. Underneath it is still the 3-litre V8, four-camshaft, transverse mid-engine and 5-speed gearbox, with all-round independent suspension, ventilated disc brakes and ride and handling that is everything you would expect. The name Dino has been dropped completely and this latest offering is unashamedly the Ferrari 308 GTB, little brother to the fabulous Ferrari Berlinetta Boxer. All the badges and name-plates now depict the Prancing Horse or, say Ferrari, the rectangular Dino badge has gone. Throughout the motor car manufacturing world there have been instances of a firm making a long-lived and successful product and then the time has come when somebody within the organisation has to make an irrevocable decision. 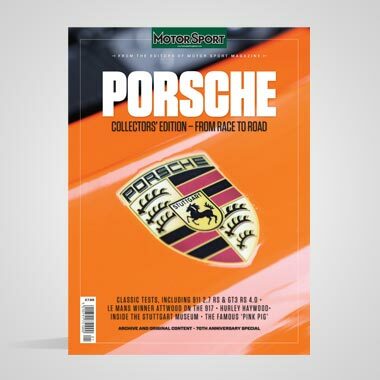 I am thinking of the day when Porsche said "Stop" to the production of the 356 series, and the 911 took over; when the last E-type Jaguar was made; when the DS-series Citroens ceased; when Lotus made the last Elan: even when BMC made the last Morris 1000. The day has got to come when Ferrari makes the last front-engined V12 Ferrari, but it will have to be a courageous man who makes the decision. Enzo himself, surely. I say this after spending a few days with the 308 GTB, even in appalling conditions, and reflecting on experiences in the Dino 246 GT and the Boxer. 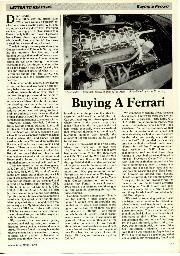 Ferrari makes modern cars, using all the knowledge and technology that stems from his racing department. The last V12 racing Ferrari was so long ago, I don't really recall it. The Ferrari 308 GTB is the Maranello expression of a modern car for today. It is functional, efficient, and excellent, but exudes little in character other than being absolutely right. Not far from Maranello the Lamborghini Uracco P300 is being built, and not long ago I said of that car that it was a proper car. 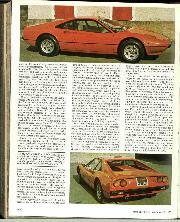 The 308 GTB Ferrari is virtually identical and in the dark I would defy anyone to tell the difference when driving it. The only subtle difference is that the Ferrari exudes a certain "feel" about the way things work that suggest the obvious fact that Ferrari has been building production cars that much longer than Lamborghini. A 3-litre V8 engine, with toothed belts driving the four overhead camshafts and feeding from four double-choke Weber carburetters, is not necessarily a Ferrari engine, nor a Lamborghini for that matter. It is a very smooth and effortless producer of power, whether you want it at 1,500 r.p.m. or 7,500 r.p.m. and when a friend looked under the engine lid and said "Good grief, a V8 Fiat . . ." he wasn't far wrong. With a bore and stroke of 81 x 71 mm. the 90-degree V8 has a capacity of 2,926 c.c. and at 7,600 r.p.m. it produces a claimed 255 b.h.p. using an 8.8 to 1 compression ratio. As the power comes on and the revs rise the engine gives a hard purposeful growl, but at low r.p.m. and no load it bleats from its exhaust like a sheep. 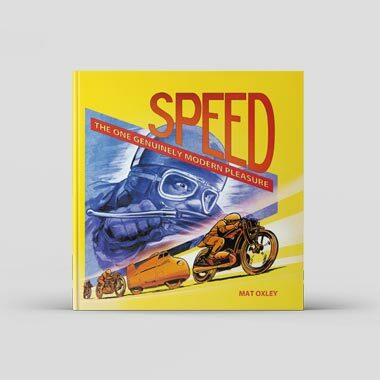 A top speed of 158 m.p.h. is claimed and a weekly magazine noted for its serious approach to facts and figures said it would do 154 m.p.h. (4 m.p.h. short of its claimed maximum, they complained!). Personally I never saw more than 130 m.p.h., for it even poured with rain when we took the car to a test-track, and 150 m.p.h. or more always seems pretty academic to me anyway. What was usual, was 100-110 m.p.h. in fourth gear, with no strain at all, and then into fifth gear and onwards. 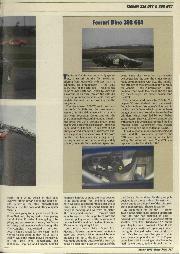 The steering was beautiful, with very positive feel, and the natural tendency of the car was to understeer, even to final front end breakaway, but an over-steering "tail-out" stance could be invoked on a skid-pan and increasing the speed made the tail go on out until a spin was provoked. Even on the streaming wet test-track the fat Michelin tyres hung on incredibly well, sending out a piercing shriek before reaching the limit of adhesion. They are 205/70 VR14 XWX and look fat enough to have been Grand Prix tyres in 1966/7 (there is a purpose in racing). In the nose of the Ferrari 308 GTB lies a Michelin "get-you-home" tyre, looking like a motorcycle tyre, this small section allowing more space in the nose for coats or boots or suchlike. A punctured 205/70 will just squash into the space taken by the "get-you-home" tyre, but oddments would have to be removed. The space-saving tyre mainly aids the drooping-snoot line of the front of the car. For all normal (and most abnormal) road speeds and cornering the Ferrari rides incredibly fiat, with no apparent roll or pitch, but below 50 m.p.h. there is a lot of thumping and banging from the suspension. Once on its way beyond 50 m.p.h. everything smooths out, the spring rates are dead right, as are the shock-absorbers and you really feel that all four wheels are doing their job with complete confidence and the messages sent back through the steering and the seats are to say "all is well, press on". lf the harshness at low speeds was eliminated, either by the introduction of rubber, or different spring and shock-absorber settings, the wonderful feel at over 100 m.p.h. would be lost, and the Ferrari 308 GTBis supposed to be a fast car, even though "they" are trying to stamp out good cars with legislation. As a car to live with I found this 308 GTB lacking on many detail points. It was not water-proof (and it certainly got the full test-treatment), for drips came in at the top of the driver's door, but much worse, the boot at the rear filled with water in its corners. Behind the engine compartment is the full-width luggage boot in the extremity of the tail and at each side are deep wells, which were very useful until it rained, when the bottoms became soggy. Another tiresome design fault is that the rear lid over the engine and the luggage compartment is in one, so even to remove a briefcase you have to lift up the whole tail lid. Even worse was the fact that water lies on this flat lid and when you lift it up, hinged at the front, it dumps half a gallon of water all over the engine and the ignition distributor, which is on the left side of the front cylinder head. The impressive thing was that the electrical system did not object to being doused in water. Inside the car, while at the controls, there is a lot to be desired, especially the instrumentation which would appear to have been "styled" by someone in Turin more used to 850 c.c. Fiats than fast Ferraris. Can you imagine designing instruments with black dials and dark green needles? The tips of the needles are white, which is fine until it is in line with the white markings on the dial face! As for a rev-counter whose figures go from white, to orange, to dark red on a black background as you go up the rev-range, and the instrument is buried deep down in a well with the important 6,500 to 8,500 portion in the shadow . . .! Below the instrument panel and to the right were two extra dials, one for oil temperature and the other a clock. You could read them very well when the door was open! As the speedometer read 10 m.p.h. when you were stationary there did not seem much point in worrying too much about the whole Turin-styling exercise spread out in front of you. However, full marks for the high-beam indicator light that was discreet and sensible like a 1939 BMW 327 coupe. The final touch to this riot of stylistic art on a very fast car, was the binnacle over the main instruments that reflected the sunshine (what little there was) up onto the windscreen to form a nice fuzzy glare right in front of the driver's face. However, the real prize went to the stalk on the left of the steering column that controlled the lights. Rotating the end put on the side and tail lights and moving the lever down a notch operated electric motors that wound up the hidden headlamps very smartly and had them on "dipped". Moving the lever down another notch put the headlamps on to full beam and excellent "full" beams they were. Flick the lever up a notch and you were back on "dipped" which was fine, except that I have a simple brain that thinks a lever control moving "upwards" should put things "up" and a lever moving downwards should put things "down". Not on a Ferrari. In the heat of the moment, such as overtaking in a hurry, flicking the lever inadvertently the wrong way not only does not give you full beam, but takes away the "dipped" beam and the headlamps fold smartly out of sight. Presumably, if Ferrari owners live long enough they will get used to this very dangerous lack of "fail safe thinking. When I heard that the Ferrari 400 GT was going to have automatic transmission I began to wonder if it would not be a had idea for the mid-engined 308 GTB, for the gearchange on the 5-speed box leaves a lot to be desired. The ratios are marvellous, and the clear and open gate are fine, but the movement is heavy and sticky, especially at low revs. When you have got it all wound on in third gear, the lever "wangs" across into fourth all right, and 7,500 in fourth and a haul back into fifth is fine. But unless you are doing that, gearchanging is hard work and there is no encouragement to "play-tunes" on the lever. Anyway, the V8 engine doesn't sing to itself like the little V6 Dino engine, so you might as well let it burble away at 3,500 r.p.m. There always seemed to be ample power and torque for all normal needs. When all is said and done you find that this latest "Ferrari for today" costs £12,000, with another £1,000 for optional extras, but for that money you have got a proper car, and a Ferrari at that. When Fiat took over the Ferrari empire, Enzo Ferrari said "that's fine, you look after production, and I can concentrate on the motor racing, which is all I have ever really enjoyed". In the Ferrari 308 GTB we have a modern, efficient, effective and firstclass automobile, but somehow it does not exude the magic of Enzo Ferrari. The idiosyncrasies and character that Enzo Ferrari put into his cars seem to have been discreetly swept away by the dead-hand of Fiat.—D.S.J.